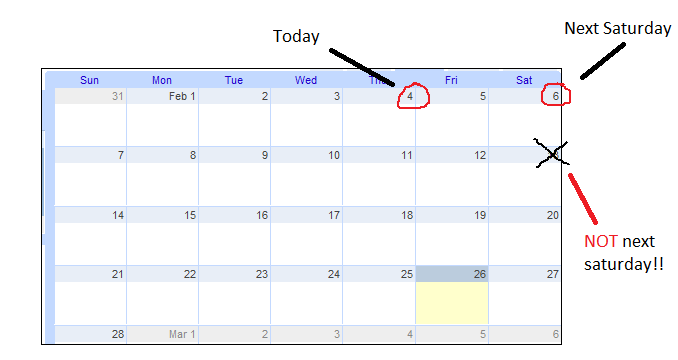 If today is Thursday, when is “next Saturday”? Here’s some illustrations that might help to clear this up. This entry was posted in Life., Randomness. on February 26, 2010 by I'm a Super .com.